Bezos Dethrones Bill Gates On Forbes World’s Rich List. 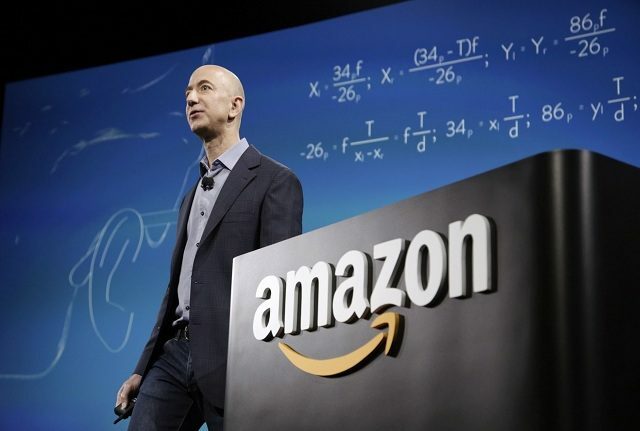 Amazon chief Jeff Bezos is now the world’s richest person, having snatched the top spot from Microsoft founder Bill Gates who slips to second place, according to Forbes magazine’s annual billionaires list published Tuesday. Thanks to a 59-percent rise in Amazon shares over the past 12 months, Bezos almost doubled his fortune, taking it to $120 billion, way ahead of Gates’s $90 billion — the biggest gap ever between the number one and two spots, Forbes said. Hey Buddy!, I found this information for you: "Bezos Dethrones Bill Gates On Forbes World’s Rich List.". Here is the website link: https://360kwado.com/bezos-dethrones-bill-gates-on-forbes/. Thank you.